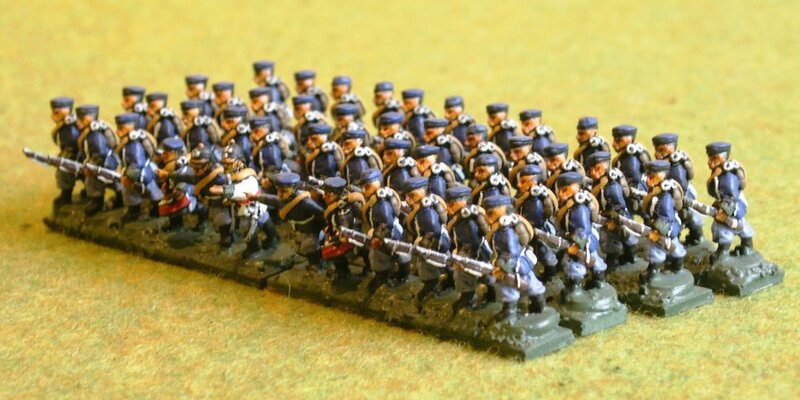 The Prussians: a small but perfectly formed army! 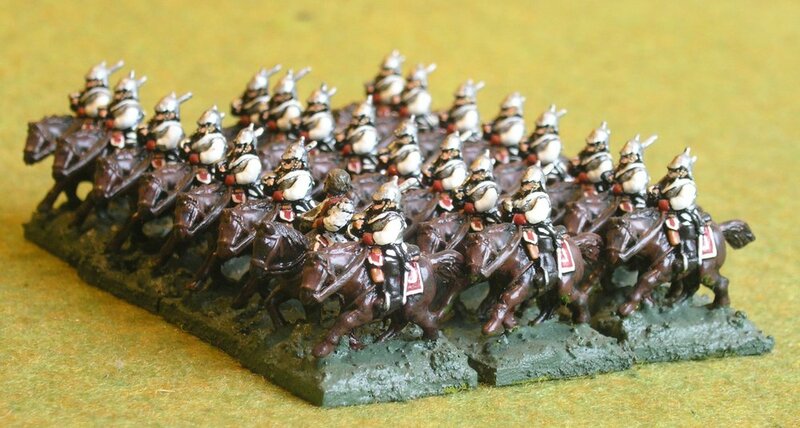 Small because the rules we play work on a points system...and the Prussians, with their breechloaders, big units, Guard troops, excellent artillery and cavalry etc. tick all the boxes for maximum points values and, as they have shown many times, are very well formed indeed. Most of these figures aren't actually mine: all except the Cuirassiers and Dragoons belong to a friend who used to be a regular part of our wargaming group. They have, however, lived with me for so long that they are part of the collection in spirit if nothing else. 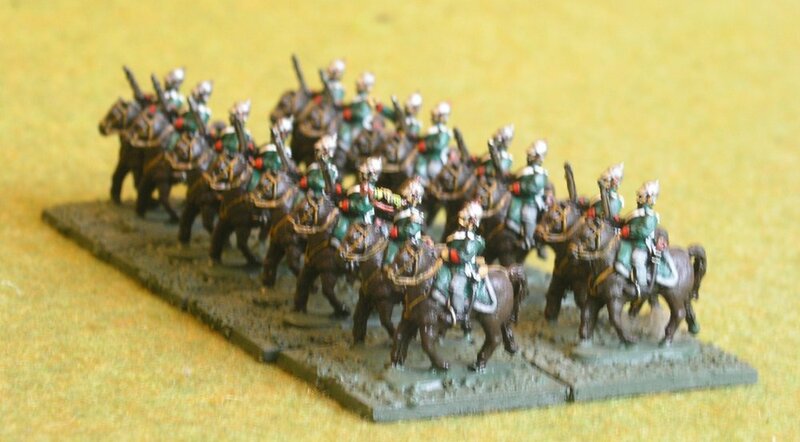 If I remember correctly, the figures are all Freikorps 15s, with the possible exception of a few Essex Napoleonic command figures.